This series began with Toward an Anti-Cancer Diet (Sep 15, 2011). There we advocated trying to shift cells away from the cancer phenotype via 8 anti-cancer strategies. Future posts will explore in detail how to implement those strategies via diet and lifestyle. Today, I’m just going to give a general overview of what I would do if I had cancer. This may sound self-serving, but it’s my best advice. Our diet is designed to optimize health generally, and that’s exactly what you want to do against cancer. I said in the introduction that cancer is a disease in which cells lose their “humanness” – their proclivity to collaborate with other human cells to create a human organism. Instead, they lose recently evolved features and “remember” an identity similar to that of our distant evolutionary ancestors from the early days of multicellular life. This regression is possible because we retain the genes of our primitive evolutionary ancestors, and silencing of only a few hundred genes may cause a human cell to resemble, genetically, bacteria or fungi. Many gut bacteria can take on two modes of behavior – a commensal or harmless phenotype, or a virulent harmful phenotype – depending on whether their environment is benign. In beneficial environments, bacteria tend to be cooperative with their host; in harsh environments, bacteria begin to look out for their own interests “selfishly,” and begin to display virulence traits which harm their host but help them move to a better environment. Something similar may happen with “proto-cancer” cells. In a healthy environment, they are pleased to cooperate with their host – to retain their “humanness.” But in a harsh environment, they are more likely to withdraw from their neighbors and go their own way. An abused cell is more likely to become a cancer cell. This may sound like anthropomorphization, but the metaphor is probably sound. Bruce Ames has remarked upon the fact that almost every compound is a carcinogen in large enough doses. Why? Because any unbalanced environment is harsh, and any harsh environment makes the cell more likely to develop the cancer phenotype. It’s not only by discouraging “cancer virulence” that a good diet helps. A healthy diet also optimizes immune function. Immune function is highly variable. Under stress, we suppress immunity so that all the body’s resources are available to meet “fight or flight” needs. Contrariwise, peaceable happiness is stimulating to immune function. A nutrient-rich diet, savory meals, happiness, calm, restful time spent in conversation – all of these things tell the body it has no pressing concerns and that available resources can be devoted to immunity and healing. After cancer diagnosis, from a similar medical condition, those who are under stress tend to succumb to cancer, while those who are happy, cheerful, and sociable tend to recover from it. It is believed that this difference is primarily due to improved immune function in those under less stress. I believe that a healthy, tasty diet is also a stimulant for immune function. Make your food nourishing and enjoyable. Safe starches. I recommend obtaining 400 to 600 glucose calories a day, mainly from safe starches. I believe it is important to avoid a glucose deficiency, since glycosylated proteins are the means of intercellular coordination, and defects in glycosylation are characteristic of the cancer phenotype. (See, eg, this paper.) You don’t want to aggravate this with a self-induced glucose deficiency. Low omega-6 meats. Omega-6 fats can be very damaging to mitochondria and can promote metastasis. Our needs for them are minimal, and they are everywhere. It’s important to choose foods that minimize omega-6 levels. Among meats, prefer seafood, shellfish, and red meats; obtain eggs, milk, and organ meats from pastured and naturally raised animals. Eat tropical plant oils like coconut and palm. Omega-3 and omega-6 balance. The diet should include some marine sources of omega-3 fats, like salmon or sardines. Bone broth soups and gelatin (cooked collagen). Collagen is 30% of our body’s protein and forms much of the extracellular matrix scaffolding which is crucial to maintainance of tissue health. The extracellular matrix is broken down in cancer. An anti-cancer diet should be rich in cooked joint tissue, such as can be found in Ox Feet Broth soups. Vitamin C and sulfur, discussed below, are also required for collagen formation; be sure you’re not deficient in these. Fermented vegetables, yogurt, and acids. A diverse portfolio of gut bacteria can be helpful to the fight against cancer by several mechanisms. Probiotic flora from fermented foods help shield against the entry of cancer-promoting pathogens to the body through the gut; they generate by-products, like short-chain fats and vitamin K2, which have anti-cancer effects; and they can modulate immunity in a favorable direction. Acids such as vinegar and lemon juice can also favorably modify gut bacteria. Polyphenol-rich extra virgin olive oils. Organ meats and egg yolks. It’s important to be well nourished, and organ meats like liver and egg yolks tend to be rich in micronutrients. They are much better than plant foods for compounds like phospholipids. In particular, choline (and its phospholipid form phosphatidylcholine) is important for methylation status and epigenetic functioning – an important element in cancer prevention. Sea vegetables, sea salt, and seafoods. These are good sources of trace minerals such as iodine, which is a critical anti-cancer nutrient. In general cancer patients should focus on the foods in the apple of the PHD Food Plate more than the “pleasure foods.” However, there’s nothing wrong with some berries, dark chocolate, pistachios, and whipped cream for dessert, and some red wine with dinner. Above all, it’s important to enjoy your food. Try to obtain from every meal a sense of pleasure and well being! The tricky one here is the iodine. Iodine dosage should be built up very slowly from a low level, so as not to disrupt thyroid function. (Hyperthyroidism can strongly promote cancer, and hypothyroidism can inhibit immune function and healing, so any thyroid dysfunction is a serious risk.) Start at 500 mcg or less, and increase the dose no faster than a doubling per month. If you get either hypothyroid or hyperthyroid symptoms from an increase in dose, back off a bit (eg instead of going directly from 500 mcg to 1 mg per day, go to 500 mcg and 1 mg on alternate days). Be patient, but try to build up to 12 mg/day over a 6 month period. Then stay there. Be sure to get 200 mcg/day selenium along with the iodine. I also recommend a multivitamin, for general nourishment; and make sure there is no deficiency of vitamin C, zinc, copper, or chromium. Also, when it comes to antioxidants, more is not better. Avoid most antioxidant supplements other than glutathione, vitamin C, selenium, zinc, copper, and manganese. For magnesium, I recommend taking a 200 mg oral supplement of magnesium citrate or a magnesium chelate. Epsom salt baths might not provide magnesium, but they can be a useful source of sulfur (in the form of sulfate) which assists collagen formation. Vitamin C is an unusual case. It supports collagen formation, and for this purpose and to avoid a deficiency I strongly suggest taking 1 g per day. In higher doses, vitamin C may be helpful because it has anti-viral properties (see Fighting Viral Infections by Vitamin C at Bowel Tolerance, Sep 26, 2010), and most cancers are probably viral in origin. Linus Pauling, of course, advocated high doses of vitamin C – either taken orally to bowel tolerance, or intravenously. However, there are arguments on the other side. Vitamin C can protect cancer cells from immune attack, and also makes them resistant to chemotherapies. Clinical trials have not yet proven high-dose vitamin C therapy, but it may help against a subset of cancers caused by viruses sensitive to vitamin C therapy. If sufficient amounts are not obtained from diet, then choline should be supplemented. This is an extremely important cluster of strategies that are probably highly effective against cancer. Their common trait is that all three promote autophagy, or “self-eating,” which is both a means for cells to cope with resource scarcity and a central part of the intracellular immune response. When resources are abundant, cells allow aged organelles and junk proteins to accumulate. When resources are scarce, they turn on autophagy and digest unnecessary components, recycling the resources. Autophagy is the dominant innate immune mechanism inside cells – the primary way cells kill bacteria and viruses. Autophagy also recycles damaged mitochondria, which can be digested, enabling remaining healthy mitochondria to multiply. The result is a healthier mitochondrial population. Since viruses and damaged mitochondria promote cancer, autophagy helps transform cells from the cancer phenotype back to the normal human phenotype. Fasting, by inducing resource scarcity, promotes autophagy. Scarcity of amino acids, which can be achieved by a protein restricted diet, also promotes autophagy. And ketosis, which is part of the metabolic profile of starvation, also promotes autophagy. Engage in daily intermittent fasting: eat only within a 6 to 8 hour window each day. Within the fasting period, eat some coconut oil or MCT oil to promote ketosis. Eat high protein for a few weeks while engaging in resistance exercise to build muscle; then low protein for a few weeks. Since we wrote our book, we’ve become a bit less excited about the therapeutic potential of ketogenic diets. Cancer cells are dependent on glucose metabolism, a phenomenon called the Warburg effect. In ketosis, blood glucose levels can be decreased – a fall from 90 to 65 mg/dl is achievable – and reduced glucose availability should retard cancer growth. Mitochondria do well on ketones, and some studies had shown that provision of ketones can restore the ability of mitochondria to trigger apoptosis, or the programmed cell death of cancer cells. It’s too early to judge, but a few scraps of data published recently have made ketogenic diets seem a bit less exciting then hoped. First, the group of Michael Lisanti has published work suggesting that tumors can evade the metabolic restrictions of a ketogenic diet by manipulating neighboring normal cells. The idea (here is an overview) is that cancer cells release hydrogen peroxide, which causes a stress response in neighboring cells, stimulating them to release lactic acid, which the cancer cells can metabolize. This process can happen nearly as well on a ketogenic as on a normal diet, so the effectiveness of a ketogenic diet in starving the cancer cells is reduced. The Lisanti group results are hardly conclusive – indeed so far as I know no other group has supported their claims – and there are plenty of skeptics. Jimmy Moore gathered responses from a panel of low-carb experts. One patient did not tolerate the diet and dropped out within 3 days. Among those who tolerated the diet, two patients died early, one stopped after 2 weeks due to personal reasons, one felt unable to stick to the diet after 4 weeks, one stopped after 6 and two stopped after 7 and 8 weeks due to progress of the disease, one had to discontinue after 6 weeks to resume chemotherapy and five completed the 3 month intervention period. Clinical trials with control groups and more statistical power are needed to evaluate whether ketogenic diets have therapeutic effect. For now, I think the most prudent course is intermittent ketosis and intermittent ketogenic fasting, rather than a continuously ketogenic diet. UPDATE: Mario makes a great point in the comments: fasting prior to chemotherapy reduces toxicity to normal cells but increases toxicity to cancer cells. It is quite likely that a ketogenic diet might have the same effect during chemotherapy. So the combination of intermittent ketogenic dieting with chemotherapy should be given consideration. Many diseases become more likely, or more severe, if circadian rhythms are disrupted. Enhancement of circadian rhythms may be therapeutic for these diseases. I’ve blogged about circadian rhythm therapies for hypothyroidism (“Intermittent Fasting as a Therapy for Hypothyroidism,” Dec 1, 2010) and for sleep disorders, psychiatric disorders, neurodegenerative disorders, and obesity (“Seth Roberts and Circadian Therapy,” Mar 22, 2011). Sleeping in total darkness during hours of darkness. Confining eating to daylight hours. Socializing – especially, looking at faces and talking – during daylight hours. Seth Roberts found that looking at images of human faces can substitute for actual socializing. Exercising during daylight hours. Even low-level activity – like standing instead of sitting – helps. In people who are melatonin deficient due to a brain immune response, supplementation of melatonin just before bedtime. Curiously, circadian rhythm disruption seems to make chemotherapy more effective. Also, timing treatments to match circadian rhythms may double their effectiveness. A number of lifestyle factors are important for cancer recovery. David Servan-Schreiber’s Anti-Cancer has an excellent overview of the evidence. A recent study in the Lancet found that every additional 15 min of daily exercise beyond 15 min a day reduced all-cancer mortality by 1%. Exercise appears to be therapeutic even for late stage cancers. A meta-review found that two and a half hours of exercise a week could lower a breast cancer patient’s risk of dying or cancer recurrence by 40 percent, and could reduce a prostate cancer patient’s risk of dying from the disease by about 30 percent. However, exercise should not be exhausting. Rather, it should be restful and relaxing; or build muscle. Resistance exercise on the “Body by Science” model of one intense workout per week, with more time spent in restful recovery than in stress, is probably a good strategy. Long walks outdoors in nature, and relaxing exercises like yoga or tai chi, are also great approaches to cancer therapy. Being sociable, happy, calm, and optimistic are all important factors for cancer recovery. Those who have companions they love, and a purpose for living that makes them happy, have the best prognosis. Be grateful for what you have, and make your body understand that life is worth living. Anorexia and nausea can seriously impair the ability of cancer patients to eat a nourishing diet and maintain their strength. I haven’t had time to research this aspect of the disease yet, but there do seem to be some dietary and lifestyle interventions that help. For instance, exercise can correct anorexia. Ginger teas are a traditional Asian folk remedy. Slice some ginger root in water, boil it on the stove, add some rice syrup for sweetness, and drink up! Low-dose naltrexone is taken at night before bed. It temporarily blocks opioid receptors, which leads the body to increase production of endorphins and enkephalins – immune compounds which interact with opioid receptors. The following day, the naltrexone is gone and the opioid receptors are working again, but the endorphins are still around. Taking LDN thus increases endorphin levels. Endorphins inhibit cancer proliferation, and may enhance anti-cancer immunity. Here is a recent paper on anti-proliferative effects of LDN against ovarian cancer: http://pmid.us/21685240. Here is a recent paper on LDN plus alpha lipoic acid as a therapy against pancreatic cancer: http://pmid.us/20042414. For a general overview, see http://lowdosenaltrexone.org/. Viruses cause or contribute to most cancers, and thus anti-viral drugs have great potential. A few cancer-causing viruses are famous, such as the Human Papilloma Virus for which there is a vaccine; however, most of the viruses that cause cancer remain unknown, though we know they exist because genetic mutations that impair viral immunity greatly increase cancer incidence. Mario Renato Iwakura recently sent me a link to a paper that nicely illustrates the potential of antiviral therapies against cancer. Cytomegalovirus, also known as human herpes virus 5, is a common virus that infects 40% of adults worldwide and 50% to 80% of Americans. However, it is found in almost 100% of human tumors. It seems to be difficult to get cancer if you haven’t been infected by cytomegalovirus. Medulloblastomas are the most common malignant brain tumors in children…. Human cytomegalovirus (HCMV) is prevalent in the human population and encodes proteins that provide immune evasion strategies and promote oncogenic transformation and oncomodulation…. Remarkably, all of the human medulloblastoma cell lines that we analyzed contained HCMV DNA and RNA and expressed HCMV proteins at various levels in vitro. When engrafted into immunocompromised mice, human medulloblastoma cells induced expression of HCMV proteins. HCMV and COX-2 expression correlated in primary tumors, cell lines, and medulloblastoma xenografts. The antiviral drug valganciclovir and the specific COX-2 inhibitor celecoxib prevented HCMV replication in vitro and inhibited PGE2 production and reduced medulloblastoma tumor cell growth both in vitro and in vivo. Yet another antimicrobial approach that may be helpful against cancer is antifungal therapy. Most cancer patients develop systemic fungal infections, and fungal infections such as Candida promote metastasis and tumor growth, and may also suppress anti-cancer immunity. An effective antifungal therapy may significantly retard cancer progression. Much more remains to be said, and it’s certain that we’ll refine these suggestions after more thoroughly studying the literature. But I think this basic approach to an anti-cancer diet can’t be too far wrong. Our prayers and best wishes go out to all those who are battling cancer. Interestingly enough, none of the diets (despite reduced tumor growth) increased the life expectancy of the rodents. For me, this puts another big question mark behind the “just don’t eat carbs and you will lean out, defeat cancer, live …” hypothesis that is so heavily pimped, these days. Just got your book, enjoyed it so far and admire your audacity going against the main stream- thank you. you are recommending up to 1lb of meat protein. Scientific publication indicates very high levels of Neu5Gc (cancer promotor) in beef, lamb and goat, and moderately high amounts in milk and cheese. Low levels are found in turkey, duck, chicken and eggs; and negligible amounts occur in plants and seafood. I stopped eating red meat and dairy for few months; but your advice makes me wonder which option carries more scientific evidence? are you willing to advice cancer patients to avoid red meat? Neu5Gc is a concern for cancer patients, so I would recommend that cancer patients try to get protein from fish. However, for non-cancer patients I wouldn’t worry much about it. Four years ago I got a cytomegalovirus infection (asymptomatic), which was discovered because liver enzymes were above the range. I have thyroid autoimmunity, a (recovering) leaky gut and (recovering) bacterial infections. I have the feeling there is a link between my autoimmunity and the herpes virus, since my health deteriorated after the infection. I would like to be tested again for the cytomegalovirus, but how can I convince doctors that I might want to be treated even if the virus is asymptomatic and, according to them, no longer a problem? Is there any particular test I should do? I don’t advise on medical matters, and I’m not familiar with the options in regard to CMV in any case. It’s certainly consequential for health, but it’s not standard to treat it. I don’t know if there are any effective treatments. Thank you for your reply. I will investigate a bit the matter and post what I find (if any). You are right that it is not standard to treat it. But I am also uncomfortable to leave it like that. I hope that your research and position on viral infections will inspire more medical research on this subject. Thank you once again! In going Paleo, does this not contradict some of your writings in your Perfect Health diet book. In terms of eating fats, yet also protein from animal sources? Also Paul, I was diagnosed with MGUS (an abnormal protein in the blood) (Immunoglobulin M spike level) a year ago, however, was pleased to see that my MGUS score come down this last month. However, with this ‘Neu5Gc’ research scare, should I also limit my beef consumption? Right now I enjoy eating beef once a week. I also take a dehydrated goat milk whey protein for working out, and eat goat cheese several times a week. I thought that goat milk/cheese was easier to digest, yet, it seems that the ‘Neu5Gc’ level in cow’s cheese is lower than goat cheese. We consider fish an animal food, so no, it doesn’t contradict our book. Tumors benefit from Neu5gc but I haven’t seen papers showing that blood cancers benefit from it. So I wouldn’t worry about eating beef if I were you. Thanks for your quick reply re: research on Neu5gc, particularly for blood cancers. 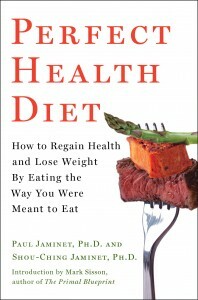 Paul, on page 116 of your book, you mention that ..cheeses make excellent snack foods.” In light of the research concerning Neu5gc, and although you said people with possible blood cancers should not worry about this, I would like to ask you, can goat milk cheese also be considered a ‘excellent’ snack food as well? And Paul, what is your view on dehydrated goat milk whey protein, as opposed to cow’s milk whey protein for working out. I don’t really have an opinion on goat vs cow whey. It is the cow casein that is worse than goat casein. Not aware of any problem with whey from either species. Yes, I do think goat milk cheese is a fine snack. the article states that ‘yolks’ are problematic for one’s health, saying that it causes ‘cancer’ among other things. I eat a lot of eggs (whole eggs, white, and yolk) however, should we be concerned about this latest study that seems to be putting a bad light on eggs (particularly yolks) once again? Further, I came across a delicious coconut ice cream that is sold at the health food store, and, in addition to organic coconut milk in it, it also has organic agave syrup in it. I love the taste, and although it does not have ‘sugar’ per say in it, it does have agave syrup in it. Is this added ingredient okay to eat? The rest of the ingredients in the coconut lactose free frozen desert are all considered ‘natural’. Paul, if you could let me know what you think of the ‘yolk’ article, as well as if agave syrup in the coconut frozen desert is okay to eat, then that would be much appreciated. No, it’s a worthless study. They found a correlation of an invented parameter, “egg-yolk years” (which is higher in older persons, since they have been eating eggs for more years) with a biomarker, plaque area (which rises dramatically with age). They did not relate egg consumption to health outcomes. Egg consumption was correlated with higher HDL, lower trigs, lower LDL, lower BMI, and other beneficial biomarkers; so they could have easily arranged the analysis to show that eggs were beneficial. I don’t recommend agave syrup, it is very high in fructose. I would favor rice syrup or even honey or table sugar as a sweetener before agave. The best ice cream is made at home! I am very pleased with your book, I have read it fully, and use it as a guide in terms of my eating. I also appreciate your answers when reading your blog. Paul, with regards to eating, I recently came across a book entitled ‘The Paleo Diet’ by Loren Cordain. Paul, in his book, on page 109, he states to avoid all dairy foods!!! I thought in reading your book, you indicated that eating fermented or ‘fatty dairy foods’ including butter, and cheeses was okay? Further, Paul, ‘Cordain’ states to avoid sweet potatoes, however, you state that sweet potatoes are considered one of your safe starches!! Cordain goes onto state that in terms of nuts, only macadamia (which you agree that is also favourable) however, he also states that walnuts are safe due to the favourable omega 6 to omega 3 ratio. Paul, in watching what I eat, and fully appreciating your knowledge, and expertise in this area, how come some ‘Paleo diet’ authors are in disagreement with you, in terms of some foods that are not safe to eat according to them, (re: dairy, rice, etc) however, according to you are safe to eat? In closing, I noticed that in a couple of my supplements, both a multi source, and curcumin, there is in the ‘other ingredients’ section of the vitamins, added sucrose, and soy. Should I stop these supplements, and find ones that are sucrose free, as well as soy free, and, or would these other amounts that are added be negligible? Paul, when you have a moment, if you could answer, why does the author Cordain advise to stay away from certain foods, that you state in your book that are considered safe to eat? Also, if you could be kind enough to advise me in terms of two of the supplements that I am taking that have sucrose, and soy, if they are still okay to take, and, or, should I find supplements that do not have these added ingredients? My other supplements as per your recommendations on page 228 of your book, that I take, do not have wheat, gluten, and soy in them. Yes, we disagree with Loren Cordain on a number of things. We tried to synthesize all available evidence while creating a workable diet that people enjoy eating. So we don’t want to exclude foods unless there is evidence they are harmful. There’s no evidence that rice is harmful, or dairy fats, and fermenting seems to minimize the danger from dairy. Other Paleo authors are more inspired by what they believe Paleolithic peoples ate, and if it wasn’t rice or dairy then they exclude those. Cordain also embraced the lipid hypothesis pro-PUFA anti-SaFA view that was the mainstream view at the time he was writing. I think the amount of sugar and soy in a supplement tablet must be very small. But we are changing our supplement recommendations and you may find that, apart from choline which is often produced from soy, most supplements will not have either. indicating that there Lifestar supplements are food based, and they claim that some of their products help people with Cancer. Have you heard of their supplements? Also Paul, what are your views on swimming in saltwater? For people with Pre-C like myself, and or people with Cancer, is it healthy, as some proponents say it is, while others feel that the saltwater is more corrosive than chlorinated water? Further, what are your views on relaxing in a sauna, as a way of flushing toxins out of your body. I haven’t heard of Lifestar. I think saltwater should be healthy for us. However, swimming does risk picking up infections. 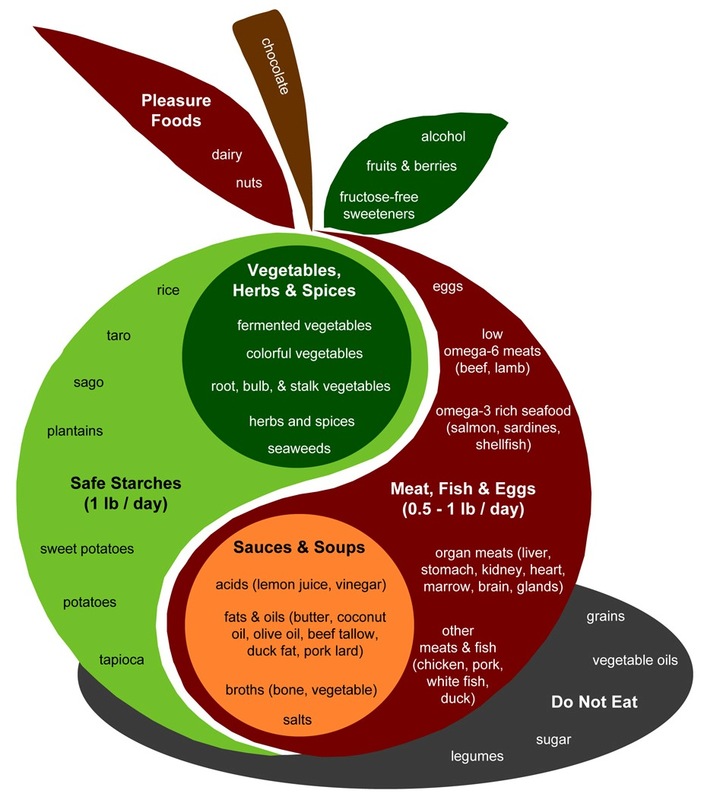 We talked about that here: http://perfecthealthdiet.com/2011/02/they%E2%80%99ve-got-us-surrounded/. I think saunas are healthy. The sweating helps excrete toxins, and high body temperatures can help kill viruses and other pathogens, including some that may cause cancer. It’s best to alternate frequently between the sauna and cold water, and to keep yourself hydrated. When I mentioned swimming in saltwater, I meant to say that a local health club in the city now has saltwater in their indoor swimming pool, as opposed to chlorinated water only. The manager said that they do put some chlorine in the saltwater, however, it is processed differently than a pool with chlorinated water only. Paul, I have read some reports on the internet that are contradictory at best, where some advocate swimming in saltwater, and others are completely opposed to it saying that it is worse than chlorinated water. Paul, is your take on swimming outdoors in saltwater in the ocean, the same as swimming indoors in a saltwater pool in terms of ‘picking up infections’? Indoor pools are generally worse – more people, more infections, less water. That’s why they chlorinate them. I just watched your video on ‘safe starches’ and it was very informative as usual. In terms of patients either with cancer, and or pre-cancer, I understand your views that you have presented in your book, and blog, however, would like to ask you a couple of questions if that’s okay. that their clients with cancer are helped with some of their supplements. When you have a moment, kindly check out their ‘Genesis’ product page ingredients, and while it contains some sugars, they claim that it is beneficial for one’s health. Secondly, I was at a recent event in which there was pasta, breads, chickpeas, lentils, full of carbs that of course I do not eat anymore, as they are not beneficial, and are not included in your diet. Some of the guests did not quite understand when I mentioned to them that I follow the perfect health diet (paleo diet, with safe starches such as white rice and potatoes). My question to you in this regard is that on the odd occasion Paul, is it okay to have a serving of lentils, or beans perhaps once a month, to at least keep peace with guests who serve this at their homes, and or would you recommend that one avoids these carbs altogether? It looks like Genesis is mainly rice bran. I believe the main active compound in rice bran is thought to be phytic acid, also called IP-6. Bill Sardi has written about its anti-cancer activity, http://www.lewrockwell.com/sardi/sardi39.html, but I don’t know how well supported this is. It can induce mineral deficiencies. Yes, we eat unsafe starches a few times a year, usually when traveling or on social occasions when there are no alternatives. It is better than starving or being unsociable. The dose makes the poison so an occasional deviation won’t matter much. But you can always keep the dose down, eat a little politely but fast and eat more when you get home. This was in today’s NY Times. People who ate more red meat were less physically active and more likely to smoke and had a higher body mass index, researchers found. Still, after controlling for those and other variables, they found that each daily increase of three ounces of red meat was associated with a 12 percent greater risk of dying over all, including a 16 percent greater risk of cardiovascular death and a 10 percent greater risk of cancer death. Who do we believe? Since starting to eat red meat and more protein. I feel better than I have in years. So am I a walking time bomb? I think the study was pretty worthless. In addition to the links from PeterC (thanks Peter! ), J. Stanton did a post (http://www.gnolls.org/2893/always-be-skeptical-of-nutrition-headlines-or-what-red-meat-consumption-and-mortality-pan-et-al-really-tells-us/). Was just reading back through the cancer series and wondering if it still to be continued? Yes, it will be, when I have time and enthusiasm for the topic. I have a large collection of notes on this and many other topics. I’ve been reading through a fair amount of research suggesting that Inositol Hexaphosphate (IP6) may possibly be of significant benefit in the treatment of several types of cancer. While the reasons for avoiding the primary sources of this compound as grains and legumes are well established, do you have an opinion on its use in supplement form? I don’t have a strong opinion on its use for cancer. It is an iron chelator and in general low iron levels are helpful. If you donate blood, that should be sufficient, except possibly against colon / digestive tract cancers. It could be useful in some cancers, but I think we are balancing relatively low levels of risk and reward here, assuming you are regulating iron levels by other methods. Another quick question. This seems like it will have a pretty obvious answer, but the iodine supplementation you recommend above will not be of benefit in the case of a thyroidectomy, correct? Yes, it will be of benefit. Cells can utilize free iodine for a variety of functions, as well as obtain it from thyroid hormone. It has value for immune function and some other roles. What about those who have had cancer and cannot donate blood for 10 years. Is iron a big concern for them? If so what should they do about it? Iron may be a concern. You can have your doctor monitor iron levels periodically and if they are high, ask for a phlebotomy (prescription bloodletting, basically the same as donating blood except the blood won’t be used). I was thrilled to see my MGUS score (Monoclonal Gammopathy of Undetermined Significance) drop last year due to eating a mainly Paleo diet, after reading your book. Unfortunately, my MGUS score on my most recent visit to the Oncologist was high again. For the most part I feel good, however, a recent ECG test also revealed an incomplete right bundle branch block. My doctor said that some healthy people have this block in their hearts. Paul, since your Perfect health diet advocates some meat eating, (even though some health practitioners encourage little to no meat eating) as well as the use of potatoes, especially sweet potatoes, could these foods might prove to be problematic to people with pre-or cancerous conditions? Secondly, my other question to you is that how come on your anti-cancer paleo diet, which I have been following now for two years, that my ‘M’ level on Mgus went up again, along with the recent diagnosis of the incomplete right bundle branch block happened? I think a balanced, nourishing diet that includes meat is most helpful against cancer. Vegetarian diets generally have a poor record against cancer. It’s difficult to say why these scores vary; assuming they track levels of a clonal population in bone marrow, it would be good for you to keep detailed diet and lifestyle logs so you can look for correlations and see what might be stimulating growth of these cells. In general energy excess promotes growth, as do high levels of certain micronutrients. See my answer below to Mark about his leukemic son for why. If you are supplementing, you may want to reconsider any supplements that may be growth-promoting such as B vitamins. Vitamin A may be beneficial, so eat more liver. Since you don’t appear to know when the right bundle branch block began, it’s difficult to say what may have caused this. I wouldn’t be surprised if the same viral infection that is probably behind the MGUS may have promoted the vascular issue. See my answer to Mark for some more ideas relevant to blood cancers or pre-cancers. Thank you for the response. A couple of questions though? What do you mean by ‘energy excess promotes growth’? Energy excess in too much exercise, which I thought is good for you, or energy excess in terms of emotional stress? Further, you also mention ‘high levels of certain micronutrients’ also promotes growth. Well, how do you account for my MGUS level that went down last year to a much better level, while I was on the Paleo (PHD) and taking lots of vitamins, including the B vitamins, only to have the MGUS score be elevated again on the most recent visit to the Oncologist? It just doesn’t make sense that the ‘M’ score was elevated again unfortunately. At any rate, I will cut down the B vitamins as you mentioned, however, a Multi (Men over 40 vitamin by Mega Foods) has some B in it. The other vitamins that I am taking are Vit D, C, E, some Magnesium, Calcium, Co-q10 for the heart, Zyflamend (from New Chapter) for the bones/joints, Curcumin (known to combat ‘C’) Whey protein, and a Rice bran powder. I have recently added ‘Fish (Wild Alaskan salmon) Oil. Paul, should I add Vit K2, and iodine as you mentioned in a post to another reader? I try to exercise 3 times a week, and have recently been looking at breathing (breath holds) as on the site, http://www.normalbreathing.com, to try and help with some of my health issues, (re: Mgus, and Inc.R.bundle branch block). Paul, I will continue the PHD as I think your book is excellent and appreciate very much your help in helping those with various conditions. I hope that my MGUS score comes down again during my next visit to the Oncologist in six months. I mentioned to her about possibly stress adding to my M level spike, however, she did not think stress plays a role, or do any modifications in diet affect the M levels. I hope to prove her wrong, and will try to manage my stress better, in light of my recent anxiety over this. Further, Paul, I thought that ‘B’ vitamins help deal with stress related issues? I am not Paul, but I’ll add my 2 cents that might help. By energy excess he means a caloric excess. As for your MGUS score going down when you were on Paleo and taking a lot of vitamins, are you accounting for what sort of diet you were coming from? If coming from a bad diet to Paleo then it makes sense to me that you made some initial improvements and now that you have settled into PHD you just need to make some tweaks and as Paul advises it would be wise to keep detailed logs so that when you next have your levels checked you will have specific notes to check against. Maybe level out the vitamins for the next 6 month stretch, only taking those things that are difficult to obtain from food like Iodine, K2, Vit A and be more sparing with the B vitamins and others. See if that makes a difference. It is my understanding from being a long time reader of this site that Paul would suggest Iodine and K2 to all, not just those dealing with specific health issues. I would recommend going slow with the Iodine.. or maybe just staying at the low dose. I titrated up to the 1mg dose and ended up a wee bit hyperthyroid. So.. be careful. Also, you can get adequate amounts of K2 from aged cheese, but if you’re like me you want a sure thing supplementing on top of eating aged cheeses might be wise. As for the fish oil supplement, those can be risky. Paul recommends eating a pound of oily fish per week instead of supplementing as you can’t be sure that your supplements have are not damaged (rancid). To me, eating the actual fish is much more tasty and you are getting co-factors like calcium (from the sardine bones). I would add liver as it seems to be one of the last things people get around to, but just might be one of the most beneficial foods. If you soak beef liver in milk for 30 minutes before cooking it is really quite tasty. Lastly, Paul has said repeatedly on this site that circadian rhythm therapies are extremely important for all people, but maybe especially important for chronic disease prevention. Be sure to get D in the daytime, go to sleep around the same time every night, sleep in a dark room and wake the same time in the morning. If you have sleeping trouble you may want to supplement with melatonin in the short term as I think it also has anti-cancer properties.. but don’t quote me on that. I hope that helps.. and good luck! Thank you very much for your input, and suggestions. It is much appreciated. I actually used to be a Vegetarian, and ate quite well on a diet consisting of beans, rice, veggies, fruits and so on. When adopting the Paleo (PHD) it did take some time getting used to, particularly not eating bread(s) anymore. I know that Paul is not high on wheat, particularly for those with compromised health issues. I will start eating a little more ‘liver’ as suggested, and fish, rather than relying on the fish oil capsule. It is a little puzzling to me as to why the ‘M’ (Mgus) spike level went back up, however, it seems to me, that I need to try and not be so anxious with things, and perhaps find some calming activities to do (yoga, etc) in addition to regularly exercising. Thanks for the note on getting adequate sleep, which I have not been doing as of late. You are most welcome. I find that many folks here are more than happy to offer their insight on these matters. Especially those of us that have been stalking Paul for a few years. 😉 You might also find some great info on the Paleohacks website.. if you haven’t checked it out yet. I was on the PubMed website searching for studies on MGUS (my father-in-law has MGUS as well) and found this interesting little gem: http://www.ncbi.nlm.nih.gov/pubmed/23523153. I dont know if you have explored gut problems in the past, but it looks like it might be worth testing for H.Pylori! In your article you state “However, most of the advice would also be applicable to blood cancers”. My son has pediatric acute myeloid leukemia and was wondering what part of PHD woudn’t be applicaple. I am trying to put together a diet plan for him. We have had some great success fasting before chemo (no hair loss , less skin rashes , faster recovery ) compared to other non fasting chemo sessions. We have had him on a ketogenic diet for almost a month to “mimic” a fasting state. However I am wondering what doesn’t apply to blood cancers before I make the switch. PHD is generally applicable, it is the tweaks for specific diseases that don’t necessarily translate to other conditions. For leukemia I would say among the most important things is to exclude wheat and vegetable seed oils and optimizing vitamins A, D, K2, C, and iodine, following circadian rhythm therapies, and daily intermittent fasting (but without overall calorie restriction). Fasting before and during chemo is extremely well supported so good choice there. I don’t think a continuously ketogenic diet is a generally good strategy. White blood cells can metabolize ketones and you want to avoid giving them excess energy, which is easy to do on a ketogenic diet since blood levels of ketones are unregulated. Rather I would seek energy minimization through being well nourished as discussed in Chapter 17 of our book. However daily intermittent fasting is extremely good. The goal should be to upregulate autophagy in white blood cells. Eating saturated fat and starches should be good for him, as long as sources are nutrient-dense. Also the circadian rhythm strategies of Chapter 42 should be implemented. You might look into low-dose naltrexone also as a therapy. Fantastic that Mark’s son benefited from fasting prior to chemo (and I hope his son continues to do well). Another N=1 here, but sorry to say that fasting for 48 hours (25 hours of it before the chemo infusion began) did not reduce side effects for me. I also posted at great length on this in reply to Mario Iwakura’s 9/29/11 comment, back on page 1 of comments (link in UPDATE above didn’t take me directly to the comment today). I recently came across a Mgus forum site, with a woman who was diagnosed with Mgus, and that she relayed to people what she is doing as a result, and shared with others that her most recent blood test came back with virtually no mgus detection. Andrew Weil’s Daily Multivitamin, Immune system builders, curcumin (which I take as well) Lysine, Resvera Wine Complex, Yaeyama Chlorella (by Yarrow Formulas) and a few others. However, Paul, what I found most interesting of this woman’s story, was that she soaks every morning and afternoon in a 104 degree hot tub for 35 minutes each time. I am wondering if her soaking in hot water contributed to her lower score level of Mgus to an almost healthier level? If you recall in the past, I mentioned to you about relaxing in a sauna, and you pointed out that that would be healthy. However, I think that you are not as comfortable if one uses a hot tub (due to possible infections). Is this correct? Paul, it seems that this woman who did soak in a hot tub twice a day, with the result of her Mgus score coming down to healthy levels, it seems like it’s worth a try, to say at least do perhaps three times a week in the health club, does it not? Or, just go to the sauna instead, and see if that helps eventually bringing down the Mgus M spike level, thus minimizing any possible infections that a hot tub in a health club might cause? Paul, in summation, and further to a response that one of your readers ‘Lindsay’ was kind enough to give me to an earlier question, about you claiming that ‘B’ vitamins are ‘growth promoting’ (I have since stopped taking the B vitamins as a result) are there any other vitamins that you might also feel contribute to energy excess? Secondly, Paul I am also interested in your response, as to the distinct possibility of this woman’s Mgus score coming down to healthy levels, as a possible result of her soaking in a hot tub? This is interesting to me, for obvious reasons, however, since I do not have a soaking tub at home, I will start to use the sauna at the health club which is well maintained, however, should I try the health club’s soaking whirlpool tub as well?, or, not, due to your concerns about contracting possible infections in a shared hot tub? It’s very possible the hot tub was the key component. Many viruses cannot survive high temperatures. So inducing a fever can help regress viral diseases, which is what MGUS probably is. Exposure to sunlight / bright blue light also helps. Lysine, vitamin C, circadian rhythm therapies are all likely to be helpful. Water does tend to carry germs, but a well-tended hot tub should be safe. It is easier to make your body hot in water than in a sauna. So I would recommend both, or whichever you find more enjoyable. I think in general you should try to get B vitamins from food. Further, with regards to relaxing in the hot tub/sauna in the health club for 20 minutes or so, could swimming for my lower leg edema problem, be okay as well? I know that you said in the past that you would avoid swimming due to possible infections in a chlorinated pool, however, now that I will be relaxing immediately afterwards in the hot tub/sauna, could this alleviate any possible infections that might occur after swimming in an indoor pool? Finally Paul, what is your take on juicing vegetables, and or some approved fruits on your PHD plan? I think swimming and juicing vegetables are both fine things to do. I have BC and tried a Ketogenic Diet, now on a Paleo diet and after 5 months i have developed hypothyroidism. i am trying to up my safe starches intake (which was minimal till now), and eat more frequently. Yes, I would recommend iodine. 225 mcg for the first month. Iodine has an anti-cancer effect but you don’t want to increase dose too quickly. I’m not sure multivitamins are beneficial. I would drop that, personally. The most important thing for cancer are circadian rhythm therapies — see Chapter 42 of our book. i will try adding iodine, following most of your advice regarding circadian rhythm, although i read about intermittent fasting is not so recommended for women, is it right? From table 3, the ingredients of the three components of the oil-protein shake are below. The excessive vegetable oil intake might explain the poor compliance and results for the ketogenic diet in that study. In one of my congratulatory messages to you, I had mentioned to you about Dr. Kelley’s metabolic diet suggestions, based on parasympathetic, and sympathetic dietary protocols. It is very interesting, (Dr.Kelley.com). What is your opinion about these metabolic type diets? (have you heard about Dr. Kelley’s work?) There are some interesting suggestions, whether that be coffee enemas, pancreatic enzymes, and so on to try. There is also ‘Suzanne Somers’ recent book entitled, Knockout, which is proving to be an excellent read, in helping those with either pre-cancerous conditions, or cancer diagnosis to be open to alternative ways. When you have a moment, kindly let me know if you have heard of Dr. Kelley’s work, as well as your views on Coffee enemas as one way of combating these dreaded pre, or ‘C’ diagnosis. How does one get tested for zinc/copper/chromium deficiency? Would a simple blood test reveal it? Generally, it’s not necessary to get tested, just to make sure that your diet includes adequate amounts of each. I have been suffering from a fungal infection in my foot and my hand for almost 6 years. I have been on a Paleo diet for 3 years and tried different oral and topical herbal antifungal with no success. I am going to change to the PHD. Anything else I should do or take? What do you mean by antifungal therapies in the anticancer diet article? Please help. I am tired of this infection. 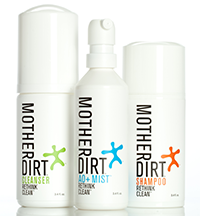 Things I’ve found most helpful for fungal infections: (1) optimizing vitamin A and D; (2) minerals – iodine, copper, chromium; (3) antioxidants – vitamin C, taurine, glycine; (4) circadian rhythm entrainment; (5) probiotic bacteria — for the skin try AOBiome’s Mother Dirt Mist. Follow all the PHD advice, but these are especially important. That is about 20% more omega-3 than we recommend. I don’t think that’s worth worrying about. It may exceed the optimum but shouldn’t be significantly detrimental.